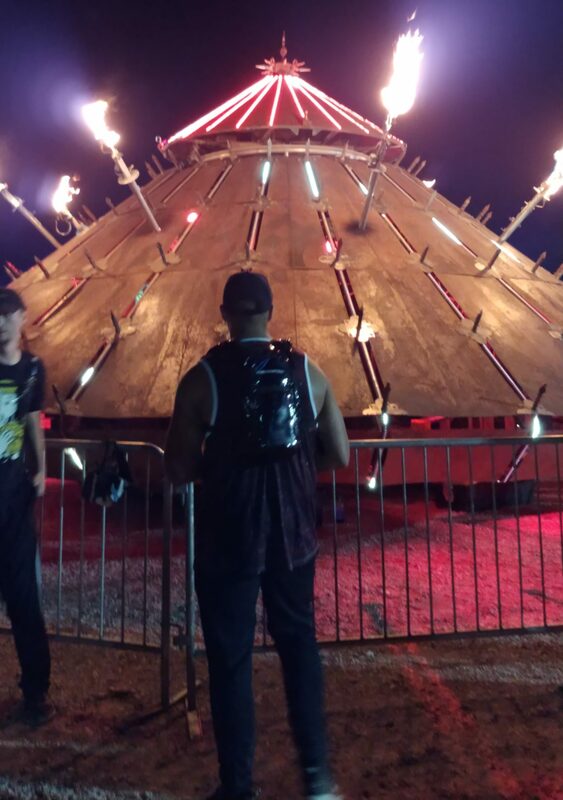 For the 5th consecutive year, an ominous series of lights hovered over a crater sized piece of land at Rawhide Event Center in Chandler, AZ during the first weekend of April. 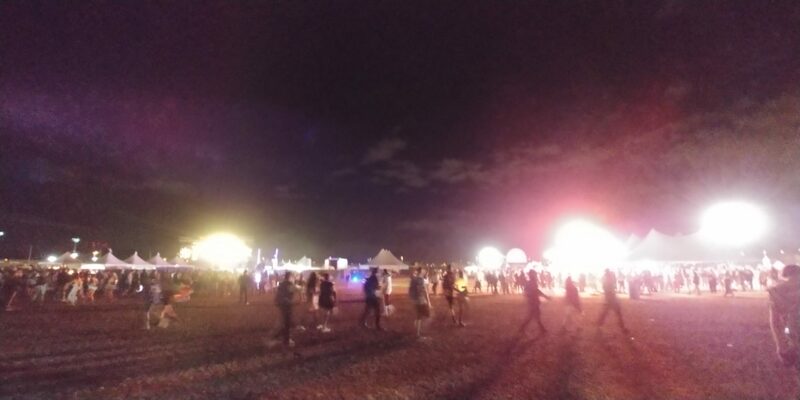 These flashing lights did not come from the sky, instead they were shining out from the weekend-long extraterrestrial themed rave during Phoenix Lights Festival. Armed with an out-of-this-world production, a powerful musical selection and alien themed everything, Phoenix Lights unleashed an amazingly unique festival experience. This year’s musical arsenal featured top names in the realms of Trance, House and Dubstep. Superstar producers including Kaskade, Excision, Claude VonStroke, Griz and more were recruited for the 2019 edition. The invasion lasted two full nights across four stages. These stages were appropriately themed as The Mothership, Invasion, The Colony and The Fallout. Each area contained a different, yet fitting blend of both music and environment. 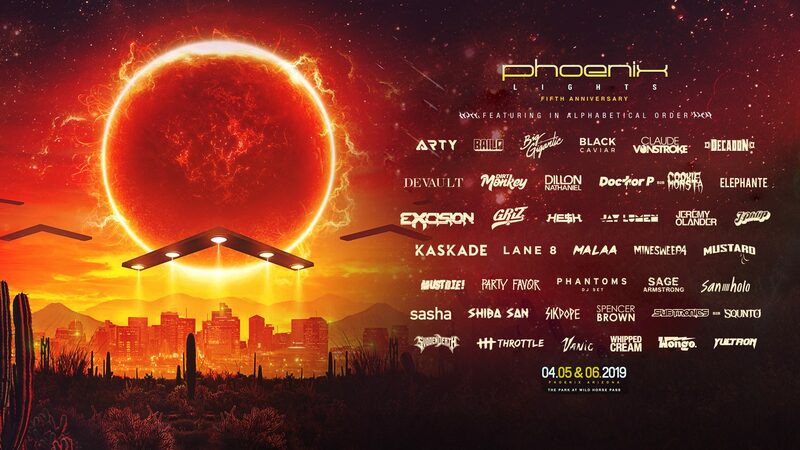 Organized by the masterminds at Relentless Beats, Phoenix Lights has become the biggest EDM event in Arizona since its inception in 2015. After arriving at the Rawhide asphalt parking lot attendees shifted to the festival grounds filled with desert rocks and sand. It felt like moving to another planet entirely. Arrivals suited up in outer outer space attire, bright colors and galactic glitter then began to cluster around the otherworldly noises protruding from every direction. Once through the security portal, humans were greeted with a monstrous main stage. Shaped like a giant alien aircraft, The Mothership was home to some of the most memorable sets of the weekend. 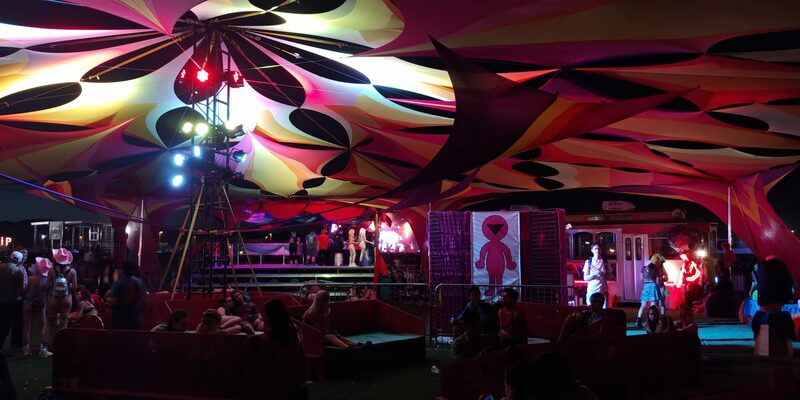 Surrounded by the only patch of grass in the festival, the stage mimicked a giant UFO. Complete with numerous projection screens and a slew of laser beams, The Mothership contained the weekend headliners. As night started to fall on day one, a rare DJ set from the Trap beat-master Mustard had the crowd dancing wildly. 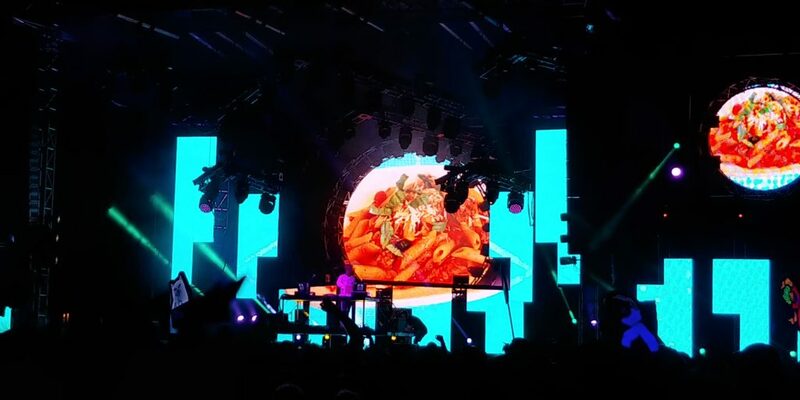 Next, veteran electronic funk duo Big Gigantic hypnotized with psychedelic visuals while keeping the hype alive before Excision closed out the night with his brand of Earth-shattering Dubstep. The Mothership landed on the second day with an extensive attack of music blocks starting with First Encounters DJ competition winner Bigstabes. A Hardstyle frenzy from Yulton was followed by an epic set from rising EDM star San Holo who used his guitar at times to signal to the skies. As darkness began to rein, black-masked Malaa suddenly appeared on the stage armed with his Pardon My French approach to modern House music. After about an hour, Malaa left the stage before the lights began to dim again. Not before long, a voice could be heard coming through the speakers. A tall, skinny, curly haired figure stood on top of the DJ table and began to rap. It was no alien as the lyricist later proclaimed himself as Griz before jumping down behind the decks and unloading an explosion of positivity fueled Future Funk. Smiles were plastered on the faces of about every soul in the crowd by the time the final Mothership headliner stepped up. “I just wanna have some fun.” This was the opening statement as dance music major Kaskade spun a progressive and euphoric set that transcended the entire crowd into a State of Trance. For those who didn’t get immediately get abducted by The Mothership headed to the adjacent corner of the grounds to take part in the Invasion. A smaller alien aircraft crash landed under a big white tent next to the main stage. This aircraft was transformed into a smaller stage which set free a plethora of versatile Bass music. The Invasion Stage, as it was called, welcomed Dubstep staples He$h, Dirt Monkey and a rowdy B2B with Squnto and Subtronics on the first day. On Saturday, the Invasion included young and hungry EDM adolescents Minesweepa, Throttle and Decadon who were all equipped bass blasts that could have been mistaken for an asteroid shower. Strobe lights and waving lasers welcomed growing heavy hitters Must Die! and Svdden Death before completing the low-end bombardment with the festival’s own surgeon of Bass, Doctor P.
On the back side of the land a consistent throb could be heard throughout the entire weekend. This rhythmic pumping came from The Colony Stage. A House music oasis that included a 360-style stage setup with lush fake grass which made the perfect place for humans to congregate and get lost in the music. Transmissions from the Dirtybird alliance included sets from Shiba San, Sage Armstrong, J. Phlip, as well as an absolute stellar closing set from the Bird Boss, Claude VonStroke. Journeymen Sasha, Jeremy Olander and Lane 8 also added to the intergalactic vibes inside The Colony. All the space travel could be a bit overwhelming. Fortunately, Phoenix Lights Festival included some additional rest stops for explorers looking to escape the music for a moment. Groups linked up with their crews at the fire-spewing Mona Lisa before browsing the abundance of alien themed paintings and illumination stations. 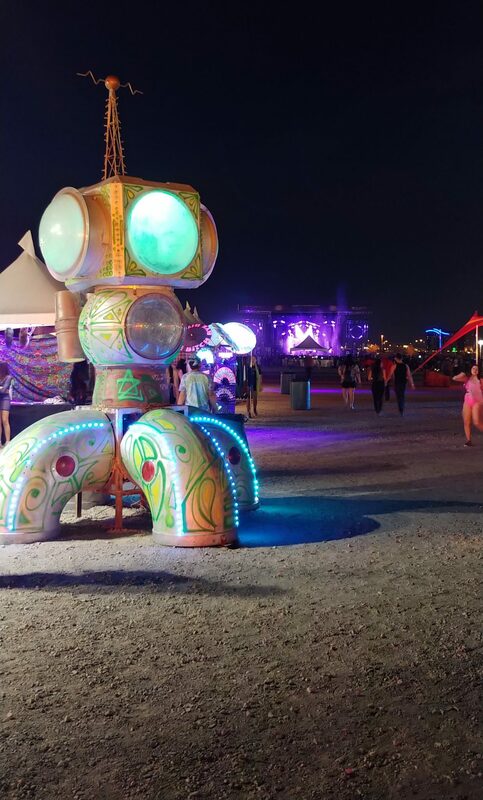 A few giant steps over was the iheartraves lounge where space travelers could relax on a couch or get acquainted with some life-size robotic sculptures. Placed directly in the middle of all the action was the smallest stage. The Fallout was a glowing army truck turned art car where aspiring newcomers looked to make an impression on the unexpecting festival goers. Seemingly purposefully located in the cross hairs of each of the stage, it was easy to vanish into the black hole of The Fallout with its monster sound system and diverse mixture of electronic genres. 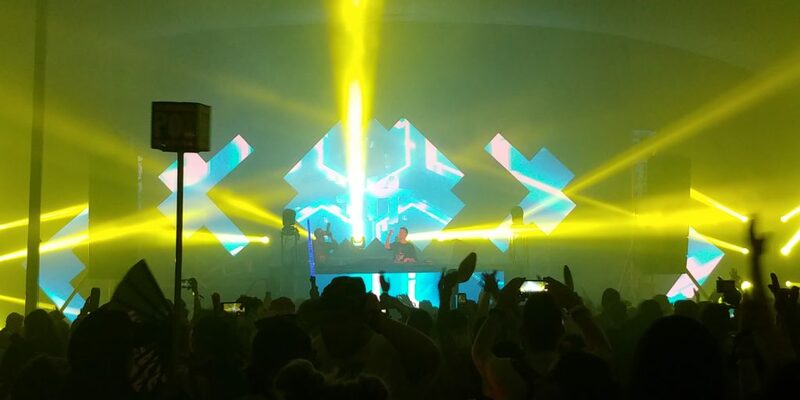 While the atmosphere was on point, Phoenix Lights Festival made sure to include even more to the overall experience. Everything from cocktail specials to VIP upgrades and even meet and greet opportunities were provided. It was obvious organizers went above and beyond to present a next level event. It was a great opportunity to take part in a niche festival literally in its own world. Phoenix Lights fifth invasion of the Arizona desert was a complete success. We are certainly looking forward to seeing The Lights return for the annual extraterrestrial takeover next year!